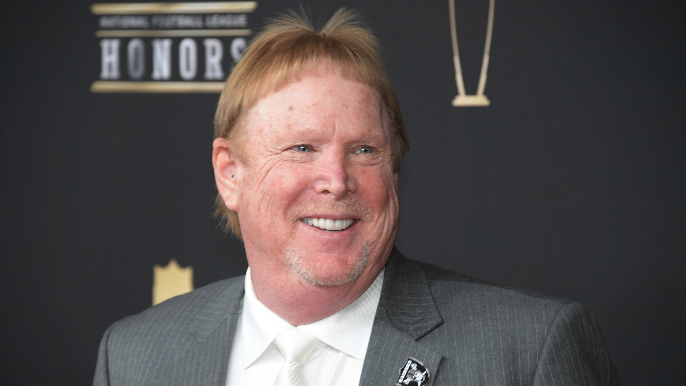 Just when it looked like a potential deal to have the Oakland Raiders play in Oracle Park for the 2019 NFL season seemed dead in the water, Mark Davis may have found the dimmest of lights at the end of the tunnel. According to NBC Sports insider Matt Maiocco, there is a provision in the NFL’s bylaws that say that if the 49ers block the move to Oracle Park on the basis of territorial rights, the rest of the NFL ownership group can veto the block if, and only if, they unanimously vote for it. The reason for this caveat, as the normal margin of victory for ownership voting is a 2/3 majority, is so that the NFL can avoid a dangerous precedent of having franchises move into already established territories of other NFL franchises. If it were to come down to a vote, the likelihood of having all 30 NFL owners agree to veto the block would be slim, especially with teams that are set to be hosted by the Raiders. The stadium football plans for Oracle Park include locker-rooms not fit for an NFL roster, as well as the prospect of having both teams on the same sidelines during games. The move would also not be greeted well by city officials. On Tuesday, San Francisco mayor London Breed spoke out against having the Raiders play in San Francisco. For Davis, however, this bylaw may just be the lifeline he needed. This opening can give him leverage against the NFL in the sense that if he wanted to, he could simply wait out the rest of the NFL and force the owners’ hands into vetoing the block by the 49ers. Having the Raiders be “homeless” for the start of the NFL season would greatly harm the league not only financially, but from an image perspective as well. Grab you’re popcorn folks, it’s showtime.